Nothing is wrong with the need to understand about one’s distance past; one’s history. The eagerness to learn about our African past is real and alive in Grenada. Africa’s great past and contributions to civilization are discussed among many young people looking for a new narrative that speaks to their nature. Their Africanness! No educational institution, I know of, on the island, imparts such education. Thus, organizations like Rastafari become an appetizing resource. Not only that, many of these young people seek to sever themselves from the Euro-centric religions that continue to define their cultural and religious experiences. Consequently, many of these young Grenadians often find themselves part of black organizations framed within an Afro-centered cultural and theistic worldviews, but are organizations as divisive and as irrational as the ones they seek to leave. Take this black organization that caught the attention of a Grenadian friend of mine. Amazing indeed! There is now a little known “Atheist” organization (group), located in the US state of Atlanta, Georgia, calling themselves the “Real” Black Atheists. I learned of this when speaking to a friend of mine a couple of days ago. My friend was interesting in my atheism. He also described himself as being an Atheist. However, he explained, there are differences between us. You are a Black Atheist, but, I am a “Real” Black Atheist. I was at a loss for words! Black Atheists I get, but what is a “Real” Black Atheist? My friend went on to enlighten my ignorance. According to him, he would break down the “science” behind the name. The origin of atheism is from the Greeks/Romans, he explained. His contention was the early Greeks philosophers had gone into Africa (Egypt – Khemit) to study, and upon their return to Greece, set up schools where they taught the African Knowledge they had acquired. These African teachings, he explained, did not recognize the Greek gods. He identified Greek philosopher Thales as one such person who journeyed into Egypt and upon his return to Greece refused to reorganize the Greek gods as the center of his knowledge. Thus, he concluded, Thales went “against the god(s).” Who’s God(s)? The Greek God(s); thus, he became an “A” (without/not) theos (God). One who rejects the Greek/Roman’s God(s)? I had to acknowledge my friend was right to some extent. The issue here, of course, is not whether some Greeks or Romans philosophers went into Africa (Egypt) to be educated. The issue is Atheism. And, viewing Atheism through its narrow historical context means it does originate from the Greeks/Romans cultural experience. I doubt, however, being skeptical about the existence of a God was purely a Greek/Roman phenomenon. Theism was a fundamental aspect that supported the Greek and Roman state. They believe the gods gave the state its divine right. Thus, its citizen was obligated to believe in these gods, and anyone who did not, was designated an “Atheist,” and an enemy of the state. In fact, the Christians, prior to being designated the state religion by the Roman Emperor Constantine, were named an atheist group because they too did not accept the pagan gods the Roman State reorganized. (Murdock, 2009)This is the framework that informs my friend’s (and other “Real” Black Atheists) understanding of Atheism. Thus, Atheism to them is limited only to the rejection of the Greek /Roman God(s). Indeed, a faulty and parochial view of Atheism. My friend is not only looking at the word atheist through a narrow historical context, he is also applying atheism within a much closed historical framework. No doubt a willfully chosen position; done for a purpose, and an irrational one at that. Limiting Atheism to such a narrowed historical context is an attempt to exempt the African gods and religions. Black people should certainly reject the white man’s God(s) and religions, but, must accept the African religions and gods as objective truth. This, my friend maintained, underlines the difference between a Black Atheist and a “Real” Black Atheist. Atheism, however, is more far-reaching than the “Real” Black Atheists’ supposed understanding. In effect, their unique understanding of Atheism means they have missed the real issue. Atheism, as employed, covers all religions and all God(s). Atheism is not simply rejecting a particular God concept, from a particular race or culture, but all concepts. All deities! Indeed, what I have outlined thus far points to one conclusion, “Real” Black Atheists are not Atheists. In that they do not have, as the word Atheism outline, a “disbelief in the existence of God or any other deities.” They are instead, “Atheists” in the same context Christians are “Atheists” to the Hindu gods, or African God(s). Muslims are “Atheists” to the Christian God or African gods, etc. “Real” Black Atheists are against (or without a belief in) all God(s) except the African Gods. According to my friend, understanding that the African’s God concept(s) is different than the Greek/Roman concept is important to understanding oneself as a “Real” Black Atheist. African gods, he explained, were human beings who ruled as kings and elders. In other words, what he is saying is these “divine” rulers are religio-political leaders who were seen and accepted by their subjects as incarnated gods. To the lay Africans man, women and children these god rulers were mediators and agents to the inaccessible sacred, and after they expired, elevated from human gods to ancestor gods. Incredible! Every religion makes different truth claims. However, to say this means the African god concepts and religions are not constructed upon unreasonable claims is a deliberate negation of objective facts. As the Greeks and Romans, the African religions have a high God concept, for instance; a being, who sits on high, responsible for the creation of the universe and all within it. Unlike the Greeks and Romans, however, this high God, to the Africans, is normally seen as removed from the regular life of the people. Thus, in the Yoruba religious myth, for example, the pantheon of Orishas is the ones assigned to carry out the work for the high God, Olodumare. Here, the pantheon of Orishas are not unlike the Judaic pantheon of Mal’ak (messengers of Yahweh), the Muslim pantheon of mala’ikak (messengers of Allah), nor the Christian Angels (messengers of God), etc. Another common aspect to these religions is the adherents appealing to these gods or dead relatives to literally affect the condition of the living. The point then becomes not if the African God(s) concepts are different from that of the Greek/Romans God(s) concepts, but whether these concepts are actually objectively true. They are not. Even if these God(s), in the African concept, were first humans, and were later elevated to ancestors, does not mean we have to accept them in a dogmatic religious sense. Certainly, being a Black Atheist does not mean that one does not appreciate his or her culture and ancestors. I just don’t accept them as gods. Praying or presenting offerings to these dead relatives in an effort to affect our lives, in a positive way or otherwise, in the real word is as absurd as pleading to Jesus, Yahweh, Allah, and Zeus to the same ends. The Nigerian philosopher Adebowale Ojowuro writes he “used the Christian religion as a pilot to indicate the numerous absurdities that altogether consist in the entire religions of the world. The stacks of these outrageous absurdities are similarly of equal magnitude in every religion, without any exception,” (Ojowuro, 2010). To this truth, however, my friend, and the rest of the “Real” Black Atheists crew, made themselves deliberately blind and deaf. I agree, we (black people) must “reclaim our history and our identity…” (Ture & Hamilton, 1992). However, pseudo-science, pseudo-history and superstitions should not be the culture and identity we reclaim. Contrary to what some Afro-centric writers believe, rationality, objectivity and critical thinking should be the cognitive pillars defining us and our culture, and rejecting not only the Greek and Roman God(s) and dogmatic theology, but also the Africans’ God(s) and dogmatic theology are important in eradicating the pseudo-science, superstitions and the many irrational beliefs that for far too long define us. My friend went on to define the word God, in the African context, as meaning “ownership.” But who are the African gods/ancestors in ownership of? It is the African people. In the words of Afro-centrism, African culture is collective. In other words, one cannot maintain his or her individuality while being a member of her group; her identity must be wrapped up in group identity. Yet my friend went on to explain he is against all non-African god concepts because they are a political concepts designed to keep black people under control. Really! Didn’t you just describe the African gods/ancestors once human political leaders, who, as he defined the word God, in ‘ownership’ of the citizen? Cognitive dissidence, indeed! Everyone being forced or willingly relinquishing his or her body and mind to be molded by those in power. I am not saying community is a bad thing. Humans are social beings and need community, but a community that requires, or expects and/or indoctrinates (educates) its citizens to be conformists to group identity dangerously borders on authoritarianism – thinking of North Korea here (Religious descriptions paint Heaven in similar manner). In fact, in the African context, these authoritarians are placed as the intermediary between the community and the gods/ancestors, who one must go through to be considered. Sounds like Catholicism to me! Saying no to accepting these authoritarian human beings as gods and negotiator on your behalf to the sacred is not rejecting your ancestors or your culture. It is a rejection of irrationality. “Real” Black Atheists seems to be frozen in time; bound to ideas which haven’t evolved to deal with the new problems facing the black population today. My friend described “Real” Black Atheism as analogous to Black Power. Indeed, my friend’s belief seems to be grounded in the Black Power, Black Nationalist movement worldview. 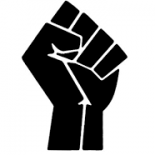 Despite it might seem quaint to ask what is Black Power, many today who chant the slogan has very little understanding of the ideology and of its historical context. No doubt, Black Power is not unknown to Grenada and Grenadians, for the revolutionary leaders (1979 – 1983) were informed by such ideology. Theodore G. Vincent writes “there are many shades of black power.” He, however, listed these three. In the middle of the black power continuum are those who believe that the injustices of discrimination and forced segregation can be successfully challenged if blacks join with disadvantaged whites and reform the system through interracial cooperation. At one extreme are those who believe that since racism is endemic to America the black must accommodate himself to the segregated world that has been forced upon him, avoid any challenge to white authority, and build power within the segregated world through a combination of capitalist economics and white philanthropy. Listening to my friend and watching YouTube videos (Real Black Atheists vs. Black Atheist) posted by the “Real” Black Atheists adherents, they, I believe, fall within the context of the third extreme. They appear not to be the Kwame Ture type Black Power movement, where black people are called to work with other marginalized groups and people to achieve social, economic and political justice. They appear to be an organization promoting separation. In fact, they separate themselves from Black Atheists and brand Black Atheists race traitors. “Real” Black Atheists endorse a philosophy of race superiority, and as such, they are akin to Afro-centrism, although they seem to have a problem with the word “Afro” in Afro-centrism. Of course there is no such thing as ‘Black Atheism’ or ‘White Atheism.’ Simple Atheism! And one can choose to be without all God(s) regardless of the culture, or choose to be without/against only the God(s) outside one’s culture. The differences that can be found between Black Atheists and White Atheists more or less lies in the type of social justice struggles. Each ethnic group has problems that are unique to its people. Black people are still fighting racial discrimination; institutionalized racism, which shows up as socio-economic disparities, educational disparities, police brutality, stop and frisk and the many other faces in which white racism manifests, and these societal ills we must fight. As I end this polemic, I must agree, my friend is correct. In that, “Real” Black Atheists is different from Black Atheists. They are certainly unalike. Black Atheists promotes and supports moral justice for all of humanity, within a secular humanist framework. Black Atheists are concerned with building a better society for all of humanity. In fact, as a Black Atheist, my world view is informed by this fact, “humanity is one” (The Human Prospect – V2; p.5). This entry was posted on May 10, 2015 by Seon M. Lewis in BLOG, NON-BELIEF, RACE MATTERS and tagged Atheism, Atheist, Caribbean, Freethought, Grenada.